Osteoarthritis or pain following surgery can debilitate even the most active dogs. 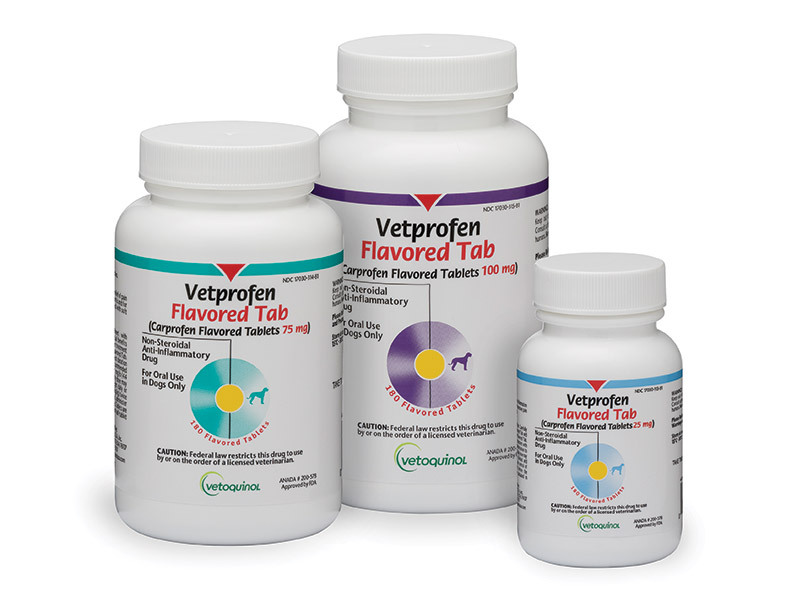 Vetprofen contains carprofen, the most widely-used and clinically-proven NSAID (nonsteroidal anti-inflammatory drug) in veterinary medicine. Carefully consider the potential benefits and risks of Vetprofen and other treatment options before deciding to use Vetprofen. Use the lowest effective dose for the shortest duration consistent with individual response. Consult your veterinarian before giving your pet Vetprofen. Follow the recommended administration on the package, unless otherwise instructed by your veterinarian.